I came home from work to find this guy waiting for the elevator in my building (the elevator is outdoors). 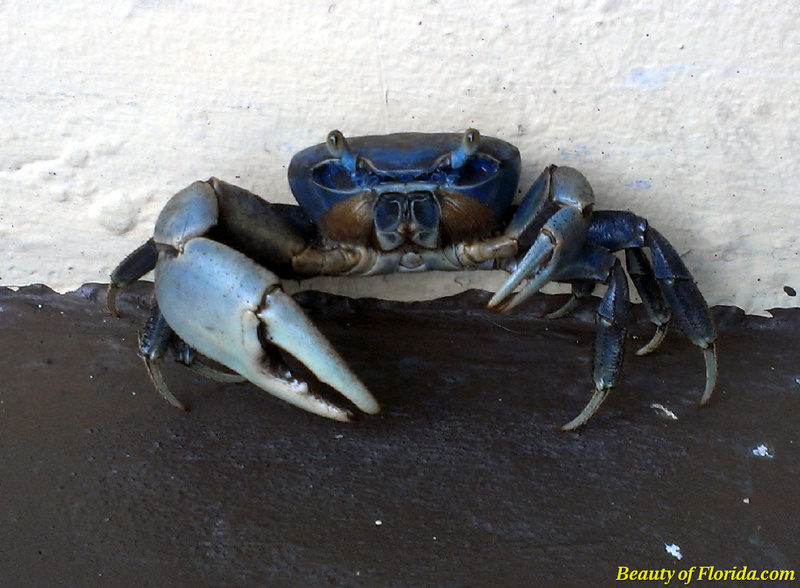 You often see these Land Crabs crossing the road…or evidence of them trying to cross. This one was full grown at about 6 inches wide. This entry was posted on July 1, 2012 by Beauty of Florida. It was filed under Animals, Nature, WIldlife and was tagged with androidography, Beauty of Florida, crab, florida, htc evo, land crab, Nature, Pompano beach, wildlife.